Jurgen Klopp has won eight of his 12 meetings with Thomas Tuchel. 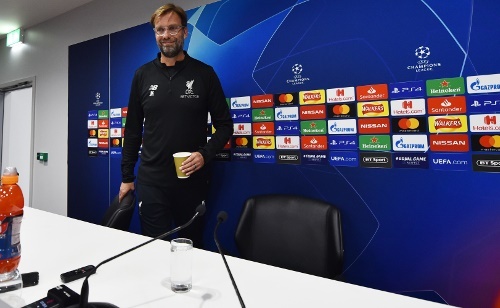 Liverpool manager Jurgen Klopp and his wards will play host to French giants PSG, complete with Brazil star Neymar as the UEFA Champions League group stage gets underway on Tuesday. Klopp is targeting getting off to a winning start when he faces his familiar rival, Thomas Tuchel. “Winning the first game is always an advantage, but we haven’t won it yet – we have to play it and it will be really difficult,” he said. Both teams’ front forward lines have scored a staggering 199 goals between them since the start of last season. Roberto Firmino, Mohamed Salah and Sadio Mane have struck 99 times, while Edinson Cavani, Neymar and Kylian Mbappe have hit the century. Having won eight of his 12 meetings with Tuchel, Klopp was asked about his record against the 45-year-old. “Always with records, it is always pretty difficult to explain something because when I was at Dortmund I had a pretty strong side and he was at Mainz and did an outstanding job there, but it’s not really fair to bring that up when you talk about the record,” he said.